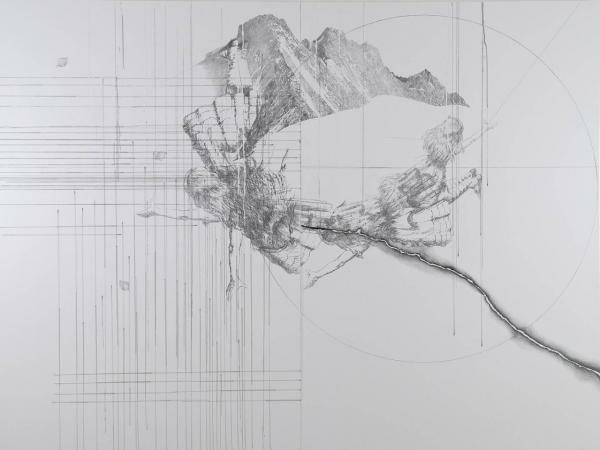 On Monday, March 12th 2012, Galleria Marie-Laure Fleisch in Rome is presenting a personal exhibition of works by Yifat Bezalel, entitled Sought City. 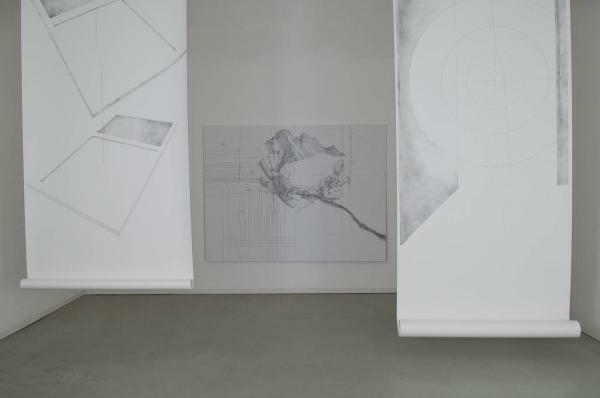 This is the second in a series of four gallery events to be held over the course of one year, as part of the project About Paper. 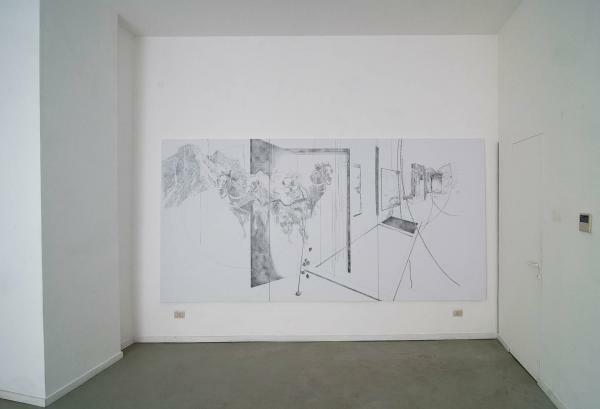 Israeli Contemporary Art, curated by Giorgia Calò. 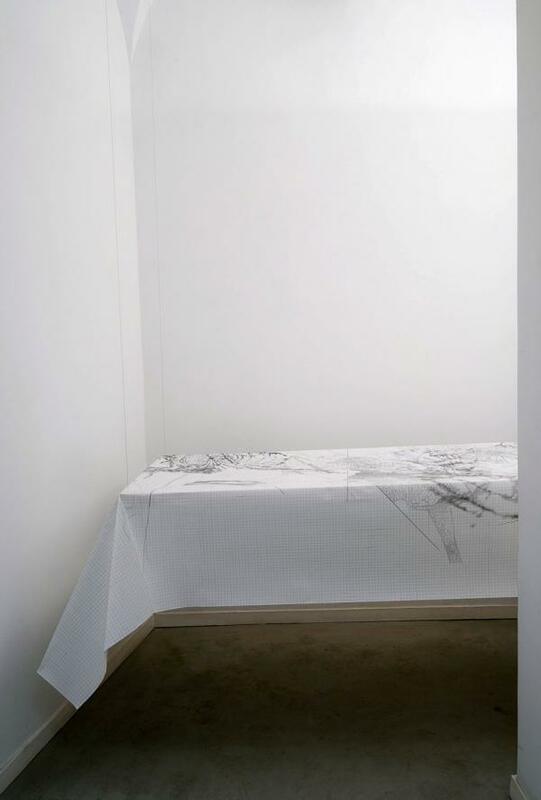 The exhibiting program sees the participation of seven women working on very different research themes, whose common denominator is paper, modulated according to their own individual inquiries. 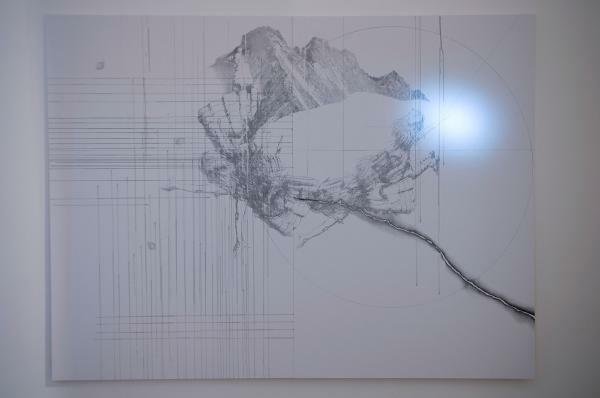 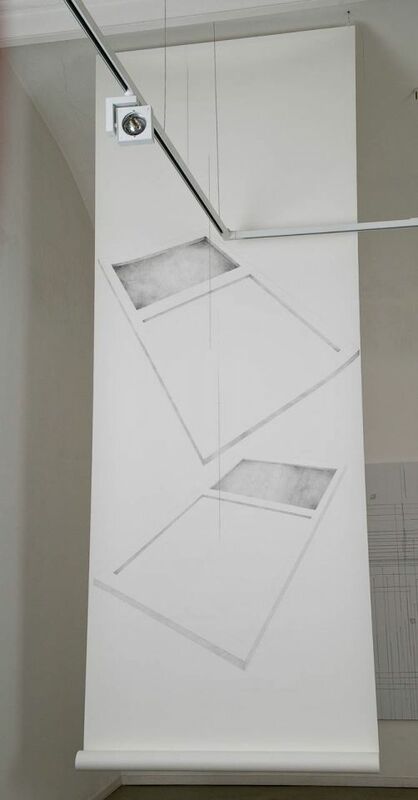 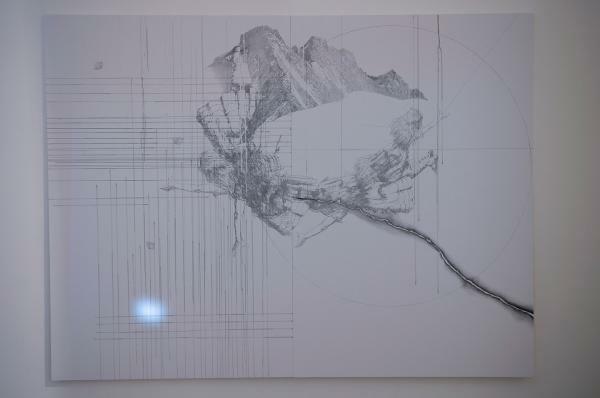 Yifat Bezalel starts from drawing and paper to create a site-specific work where the elements used are skillfully integrated into a complex installation framework. 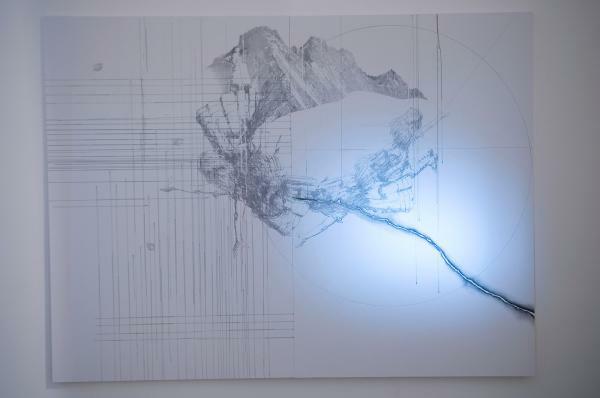 The artist explores the sense of space by displaying objects suspended from the ceiling alongside a multitude of drawings. 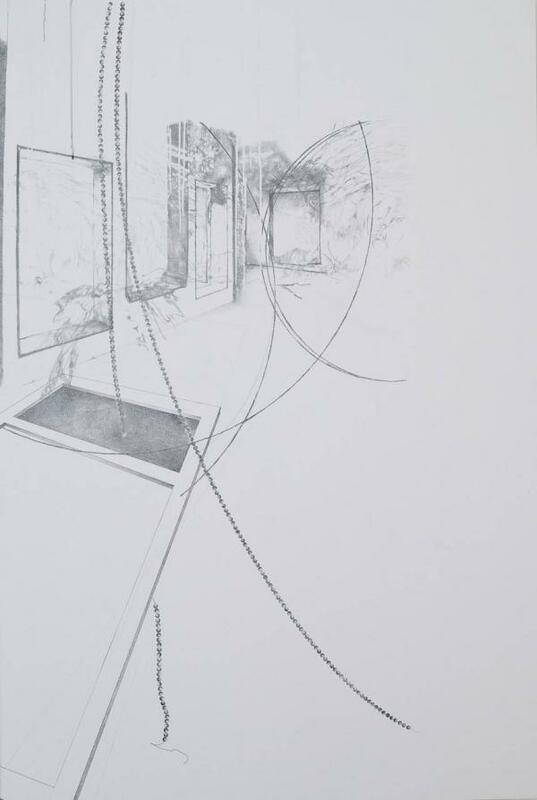 The work centers on the feeling of desire, which the artist articulates through successive stages, from the concrete to the spiritual level. 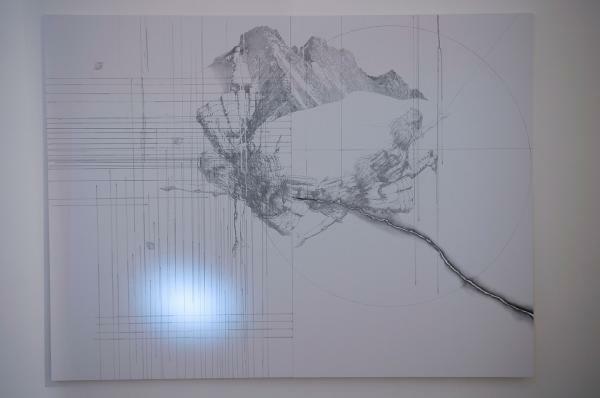 The metaphor of these phase changes is the city of Jerusalem, seen as Promised Land and as a real physical site, but also as an imagined place, an inner temple which the artist desires and seeks. 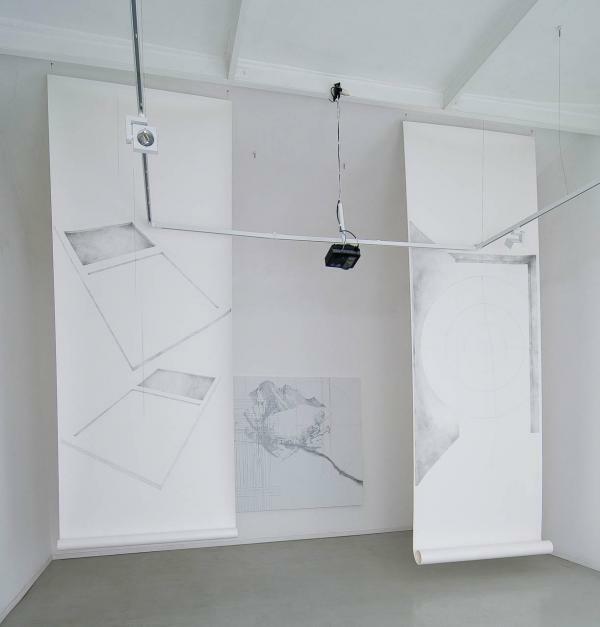 The installation consists in a series of drawings of doors that float in air, tracing an indefinite border, which creates a sense of giddiness and illusion. 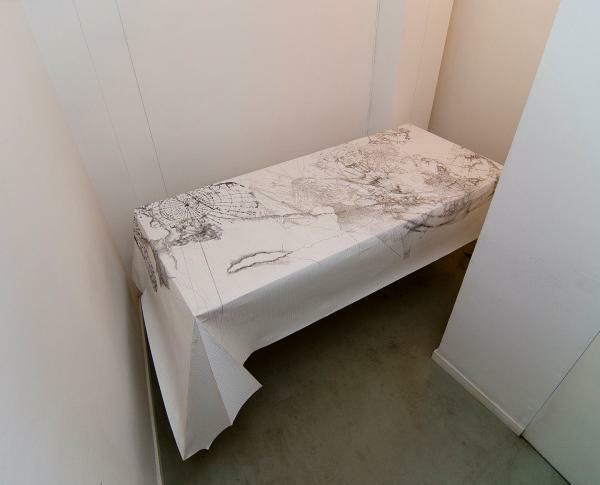 Behind the doors, lying on a suspended table, a paper tablecloth is covered with drawings of unknown or non-existent continents, as in an ancient map. 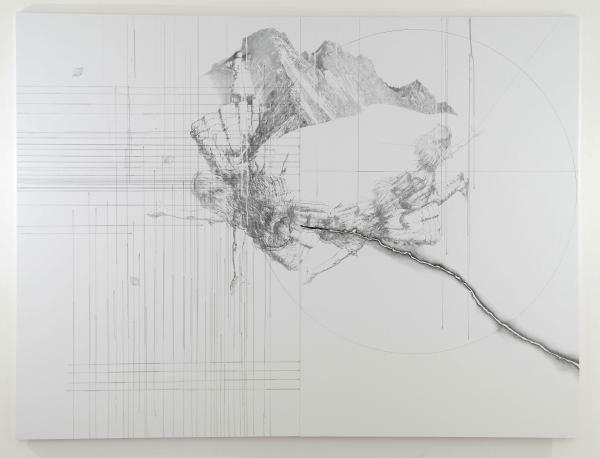 Bezalel’s work strives after a suspended, metaphysical place, a soul place that cannot be pinpointed with the help of spatial-temporal coordinates, but only takes shape through the desire of it. 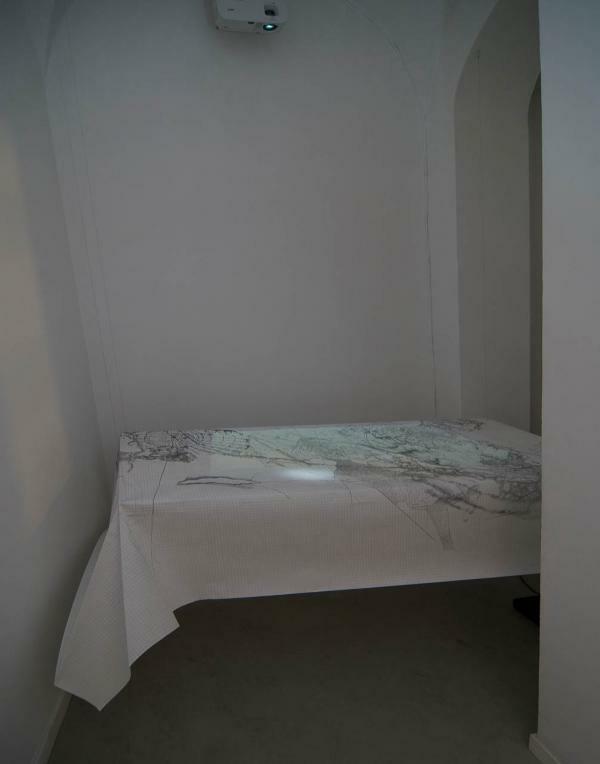 Another essential element in the work is the light projected onto the tablecloth: like a pulsating beat, at times it becomes imperceptible, wrapping all things in their purest abstract form – a secret, intermittent light that seeks to illuminate something unknown. Alongside the installation, on the gallery walls, the artist is exhibiting a series of classic drawings, presented as preliminary sketches or studies for a fresco inspired by the Renaissance - in its deepest meaning of rebirth or resurrection. 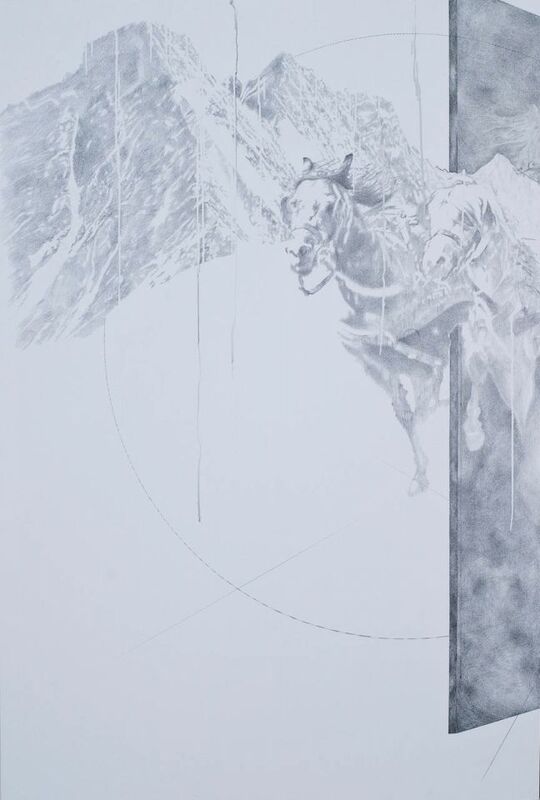 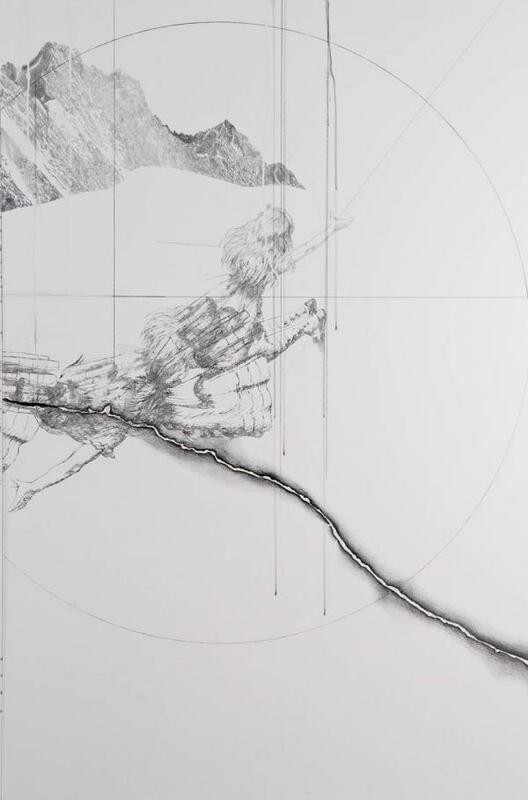 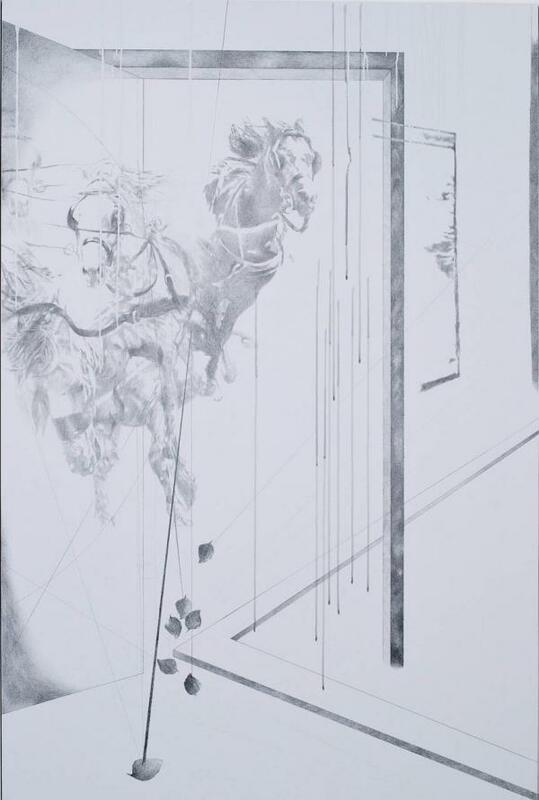 The drawings, which depict horses, characters and landscapes inside an architectural plan that blends abstraction and figuration, oscillate between the idea of film still and the illusion of movement, but also contain disturbing elements that tend to disrupt their classically formal structure, letting the artist’s dark side shine through. 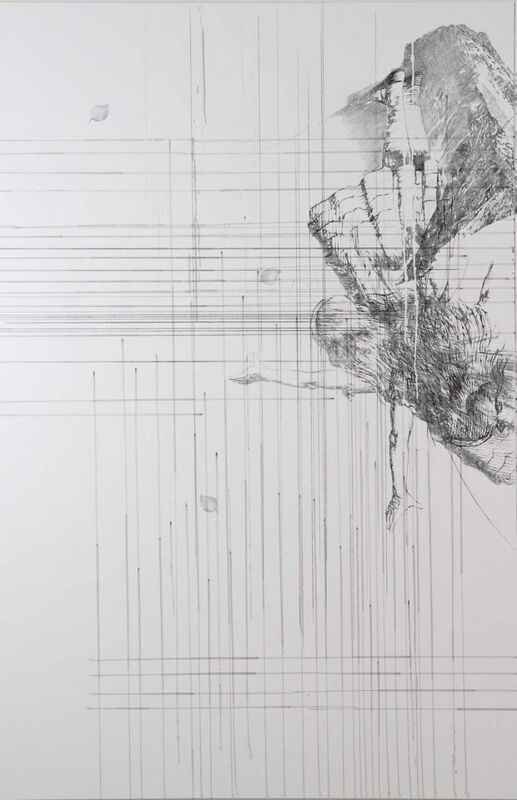 Bezalel thus explores the real and imaginary boundaries of drawing – again referring us back to metaphysics –, in an attempt at breaking its structural schemes and contemplate its present movement. The artist seems to move through modern art history with an in-depth knowledge of ideas as well as styles, inquiring into the deepest meaning of constructing, deconstructing and reconstructing images.